Home Unlabelled Make a Special Change for a Special Day! Make a Special Change for a Special Day! The holidays are coming up!! This is the time of the year when we get invited to loads of parties and everyone is trying to look their best. Us girls always want to doll up for Xmas/NYE and thus we put on new clothes and shows and put on extra makeup... But it is true that most of us cannot be bothered to do much to our hair! This was how my hair looked like last Xmas... I just curled it and let it be. And that's what I do most of the time anyway. It's nice... but so boring! "What should I do with you for Xmas this year?" If you are thinking of a new hairstyle for the holidays, fret not! 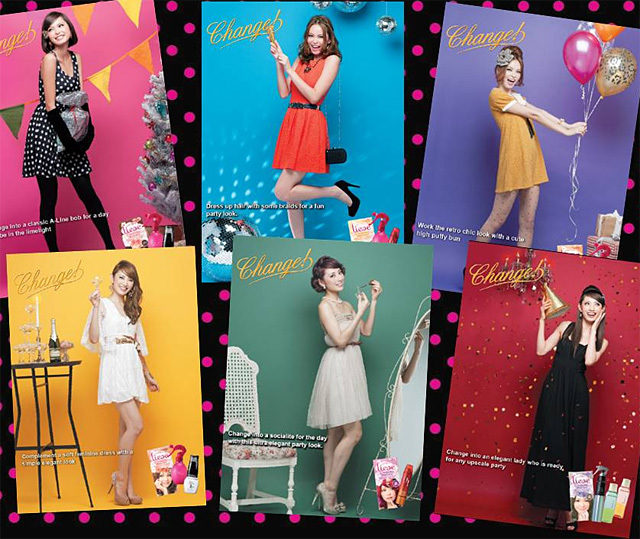 Liese just came up with a new Lookbook filled with easy-to-do hairstyles just for Xmas! Liese teamed with Tokyo's top hair designer Takahisa Okamura to come up with a series of hairstyles for the Xmas season. Check out the "Making of" video here with the chio Japanese models! 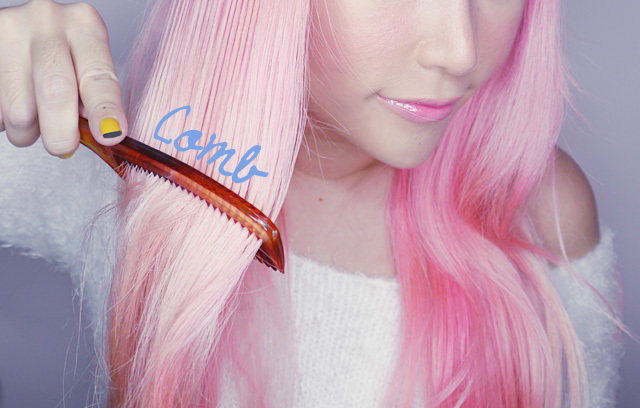 It looks so cute on the model, Yu Hirukawa, I just had to do it on myself too! I'd show you guys how, it's really simple! 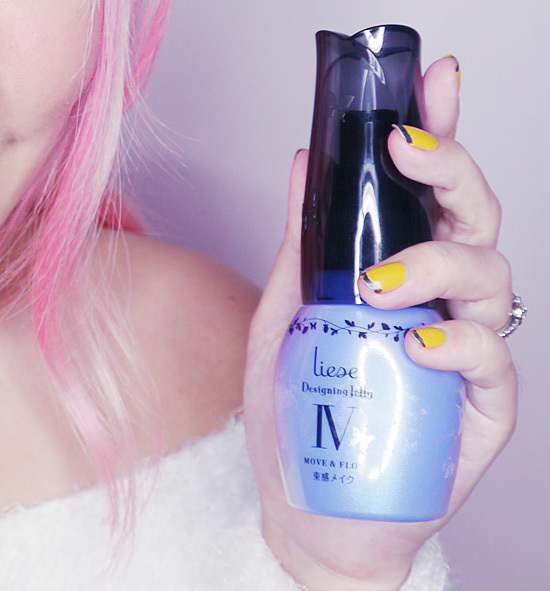 Spray some Liese Juicy Shower on those strands! The Juicy shower instantly boosts the moisture level of your hair and smoothens out frizz and makes your hair silky soft so it's easier to style. 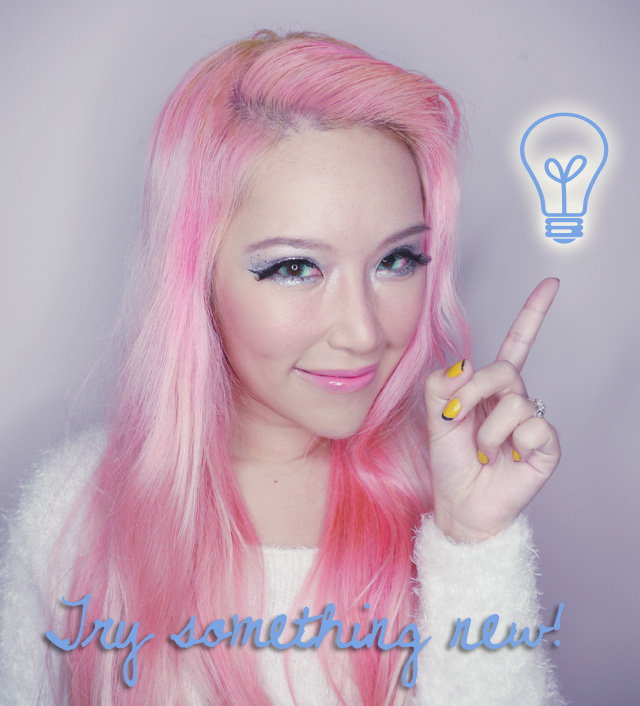 It smells really nice too - great for if you want to meet someone new before the year ends! The Designing Jelly is special because it does not have the sticky wax feeling or stiff gel look! Btw all of Liese's styling products are numbered according to their holding power so the bigger the number the stronger the holding power. For this look I chose Designing Jelly in 04 Move and Flow because I want to create a pouf on my hair later. Apply the Designing Jelly then tie a super high ponytail. Create a loop like this instead of pulling the hair ends out! Fan out the hair and secure with loads of bobby pins! 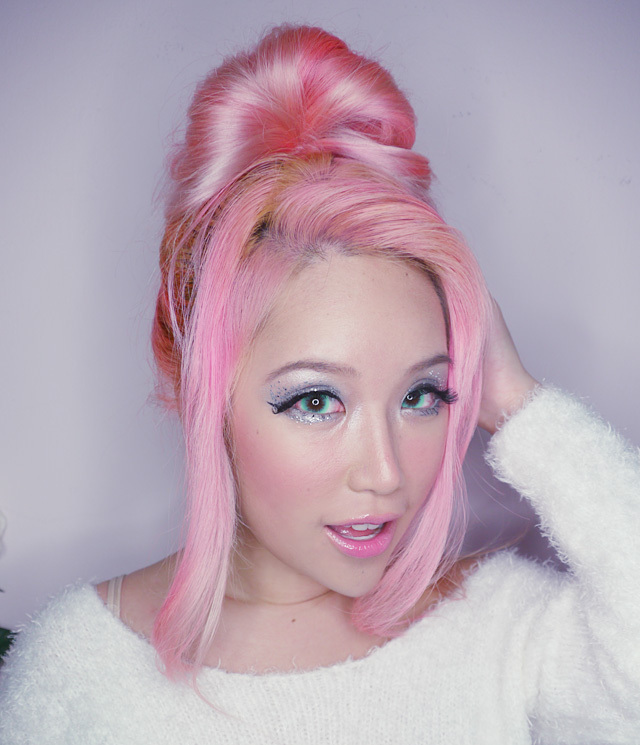 For girls with shorter hair you can still create a big pouf, just curl your hair first! Curl the strands around your face. Last step... Select either a giant bow or flower accessory to pin onto your hair. If you are interested in creating the other looks please check out Liese's facebook page at http://facebook.com/LieseSG. 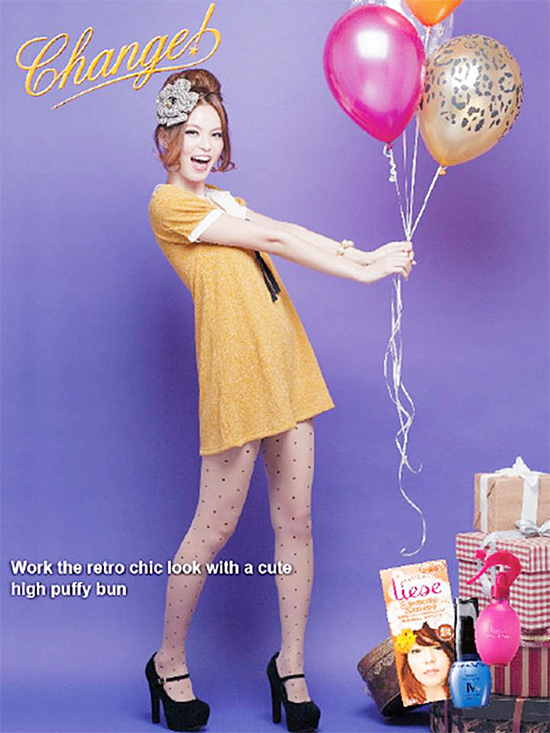 Liese is also giving away their most popular products! Just go to their Facebook page and write on their wall which is your favourite Liese styling/treatment product and you might win! 5 sets to be given away!